The framing of this episode confuses me some. The whole point of the series is that Red has come to the FBI with a list of baddies. Every episode (I think) has been named and numbered after one of these bad guys. This one (and at least one other one from season 3) were named after someone who could not possibly be on the original Blacklist. That's a slight annoyance. What's worse is that there was a legitimate potential blacklister in this episode (The Wendigo) who this episode could have been named after, especially if they cut out the girl who didn't really seem to push Liz's character development forward at all. I had high hopes for this season, with episode 2 being potentially my favorite episode of the entire show, but it's going downhill pretty quickly. I hope they get it back on track soon. 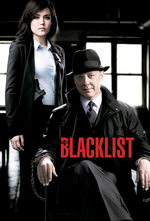 I don't think Reddington has an actual blacklist, they are just people who Reddington wants taken out.